Spring Cottage Life Show 2018 - Holz100 Canada Inc.
"Get ready for cottage season with us at the 25th Spring Cottage Life Show! Meet 600 exhibitors showing boats, docks, builders, contractors, innovative building products, green solutions, decor and style, arts and crafts, food and entertaining, water toys and more. Now a 4 day show! 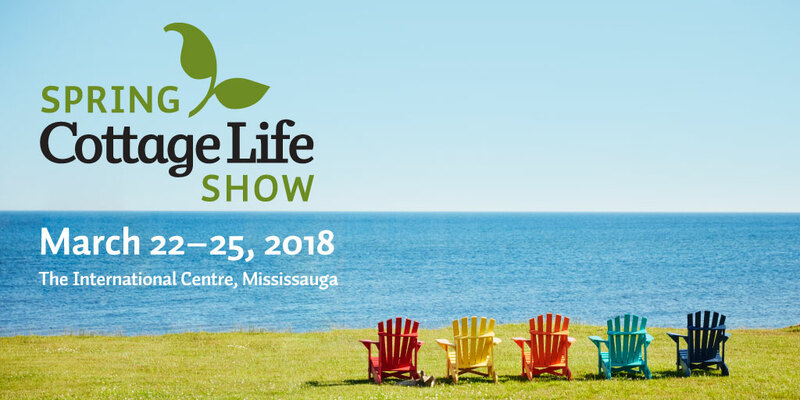 It’s our 25th annual kick-off to summertime fun and we can’t wait to see you at our cottage!" 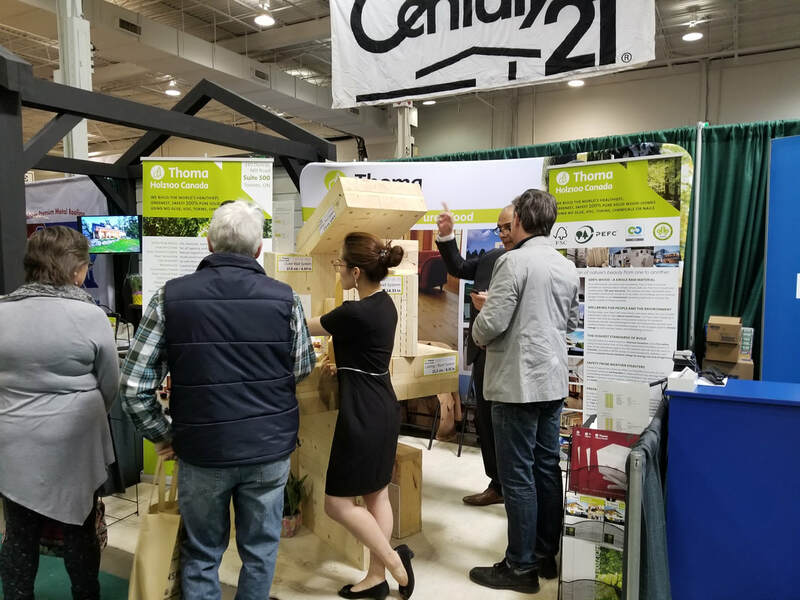 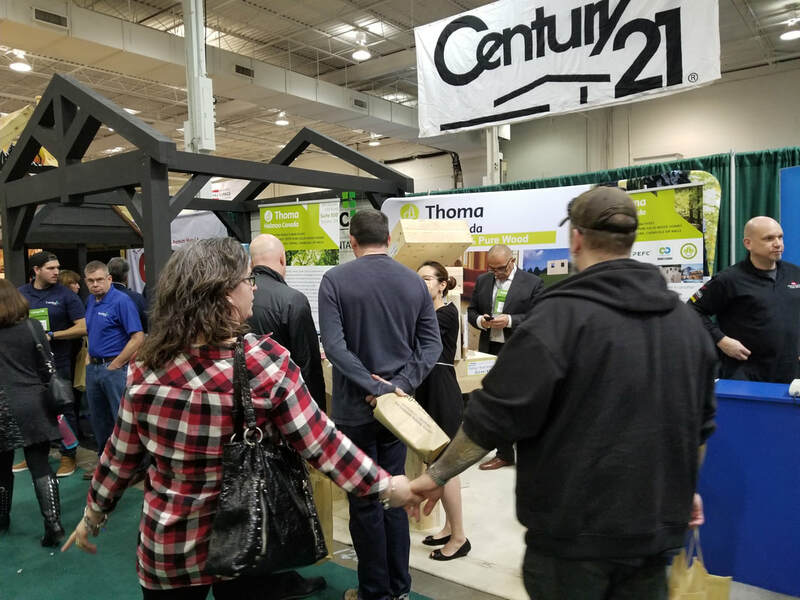 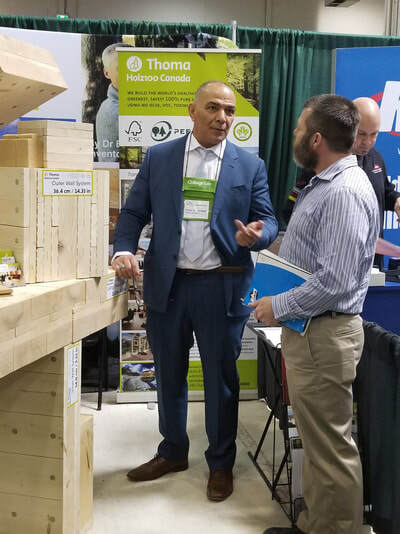 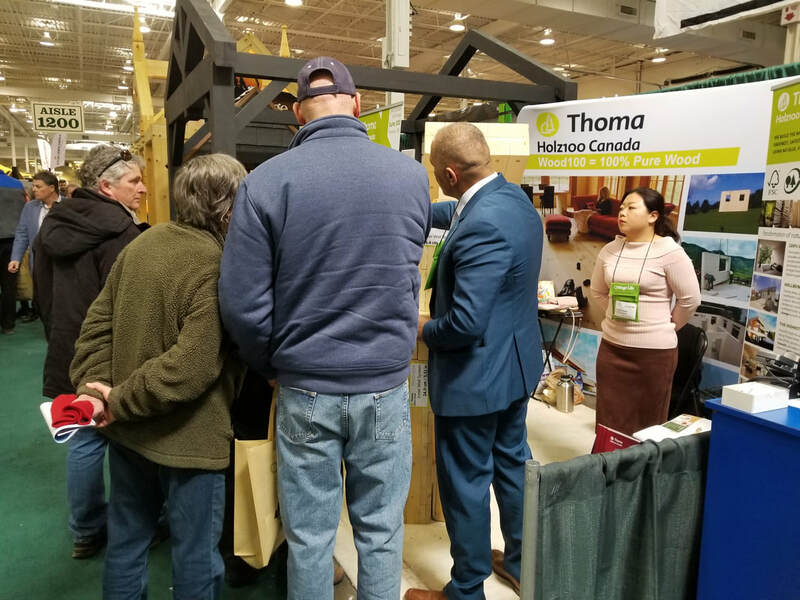 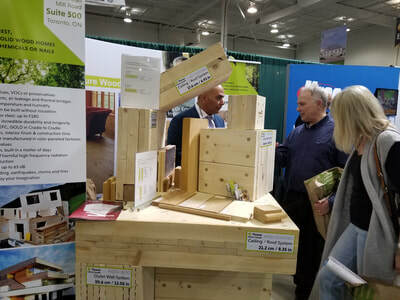 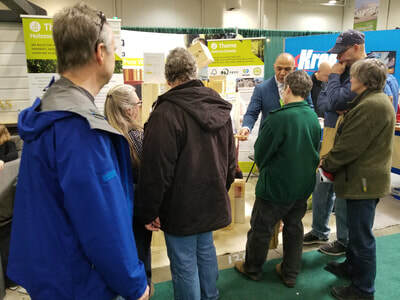 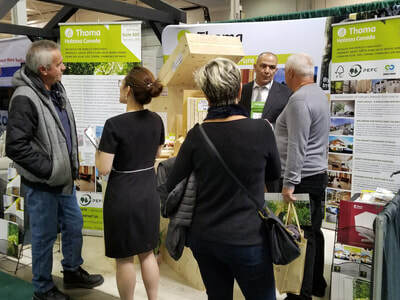 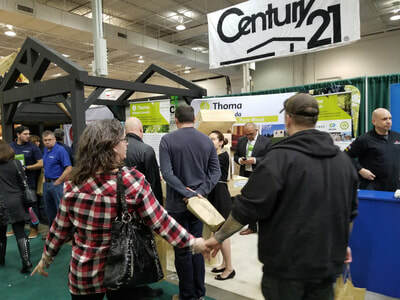 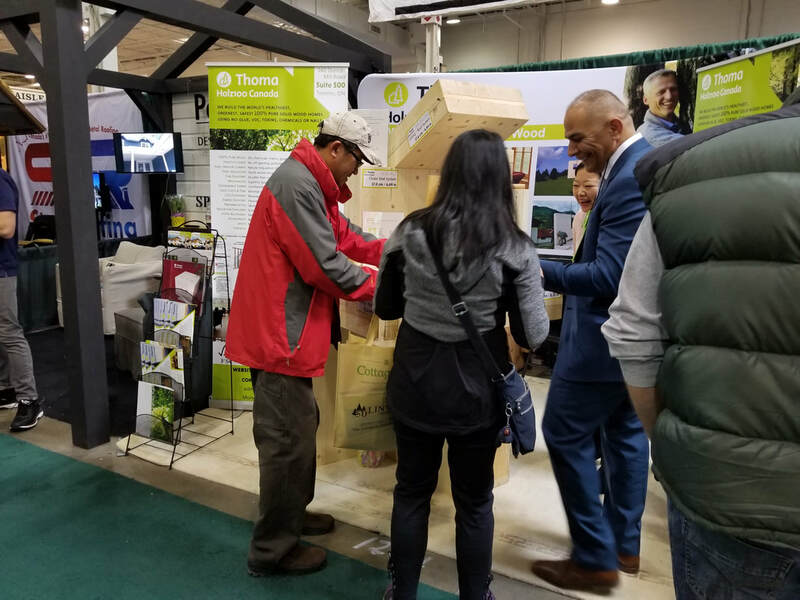 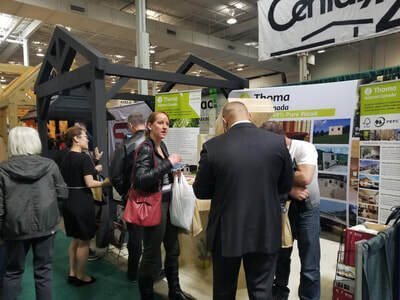 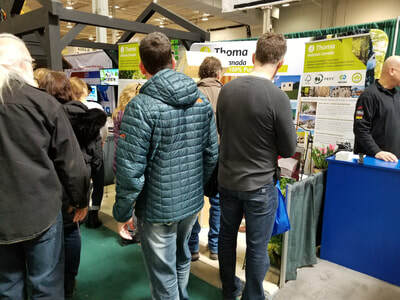 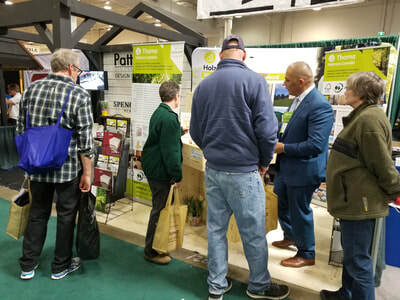 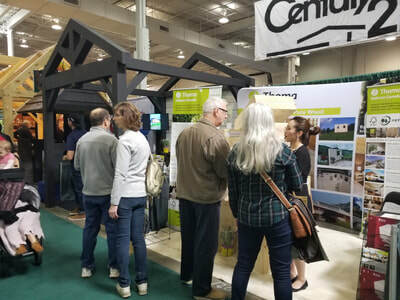 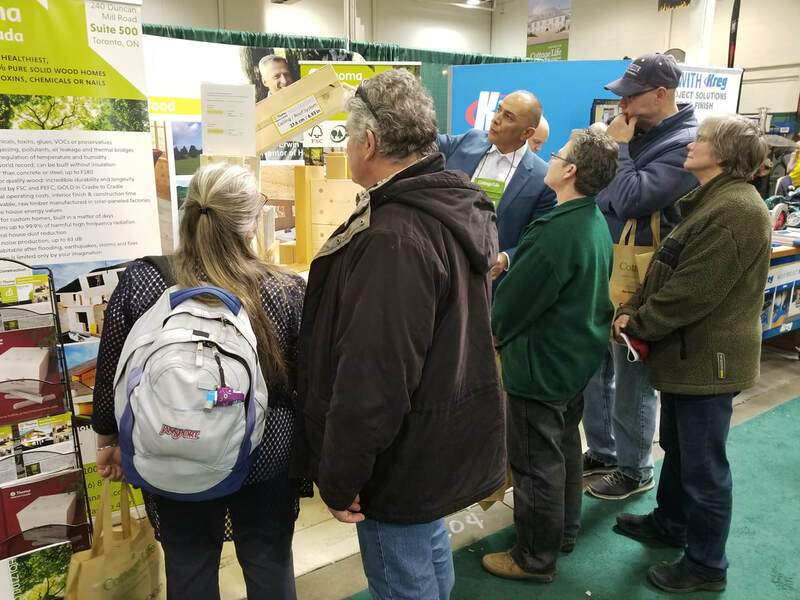 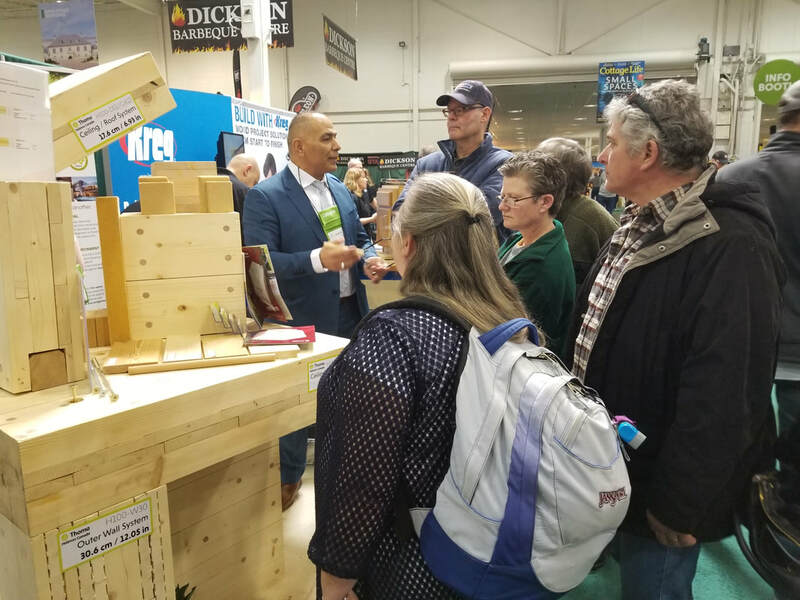 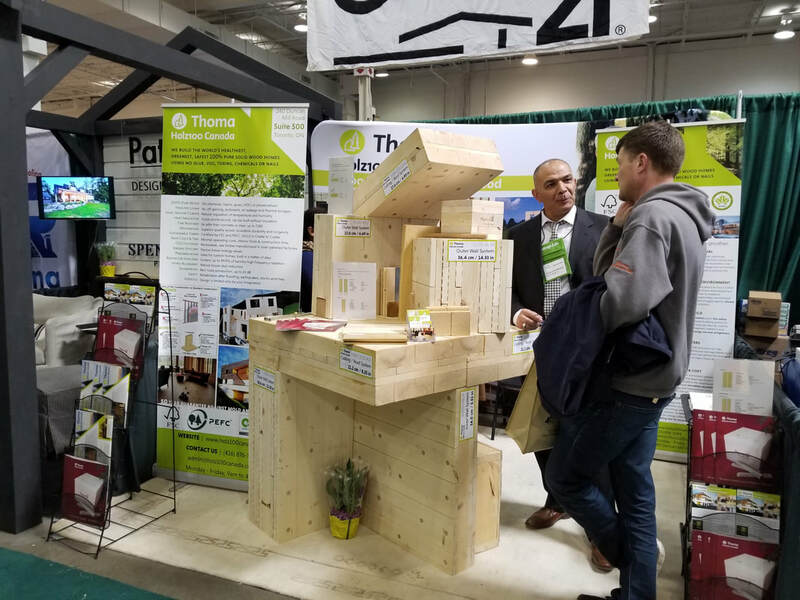 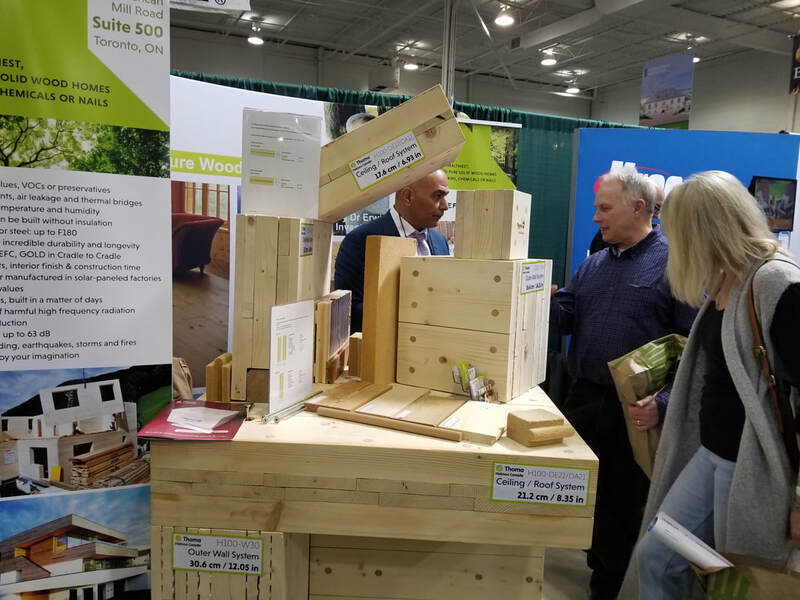 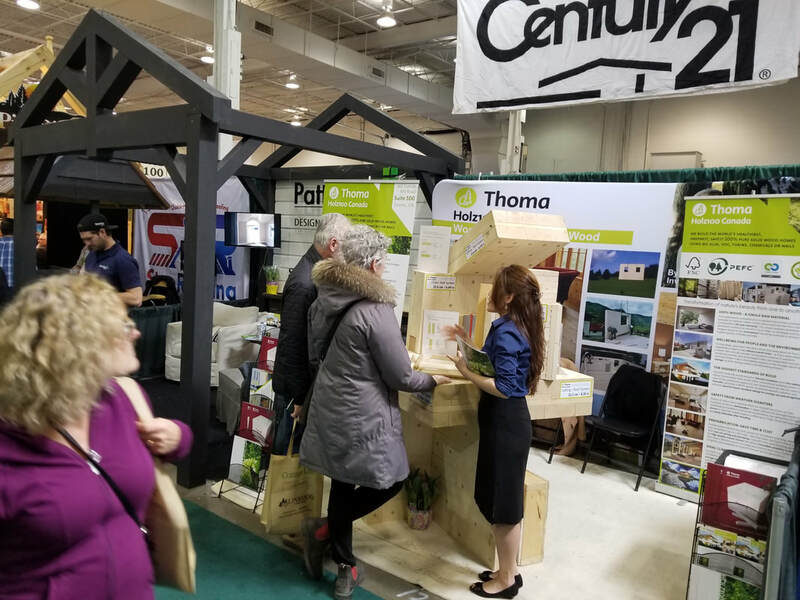 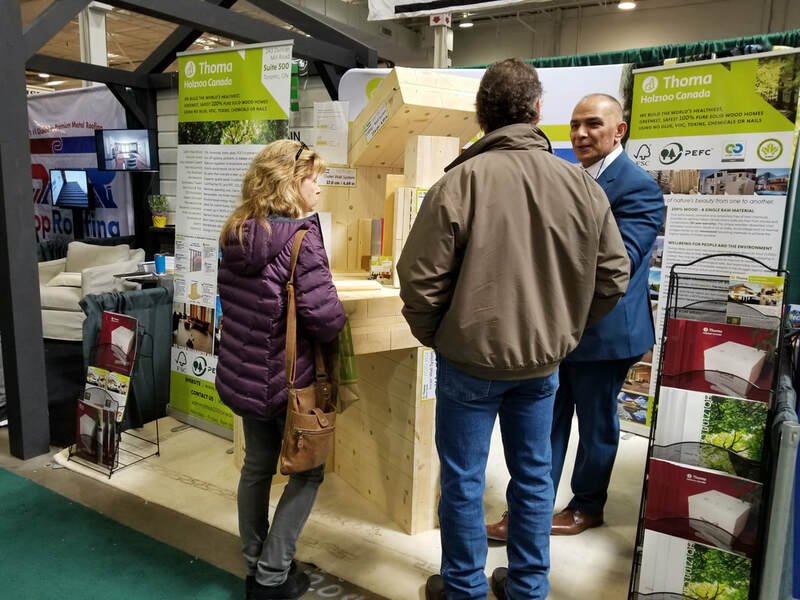 ​Holz100 Canada is happy to announce that our 4-day show at the Spring Cottage Life Show 2018 was a huge success! Our hard work certainly paid off - it was such an amazing show that we met numerous landowners and potential clients who wanted to build their future projects with Thoma Holz100! 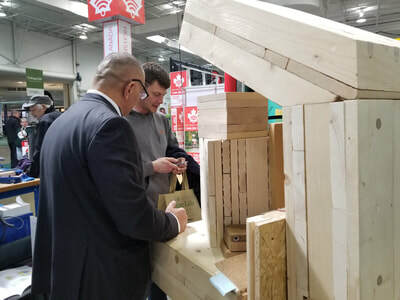 Thanks to the new feature of our large cross-section sample of a Holz100 building system including inner/outer walls, roof and ceiling/floor systems, we garnered much attention from those with interest to building materials. If you would like to see it for yourself, we invite you to our office at 240 Duncan Mill Rd., Suite 500 during office hours.